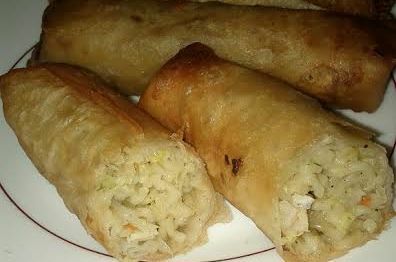 A very delicious recipe of rolls filled with noodles. It’s a perfect combination of crispy and yummy taste, once a bite taken you will enjoy crispy covering with yummy filling. These noodle rolls will fulfill kids as well as adults craving for noodles and will make a yummy kids lunch box. Cook noodle in boiling water till cooked and tender. Keep them aside and let them cool. Repeat this procedure till all rolls are done.